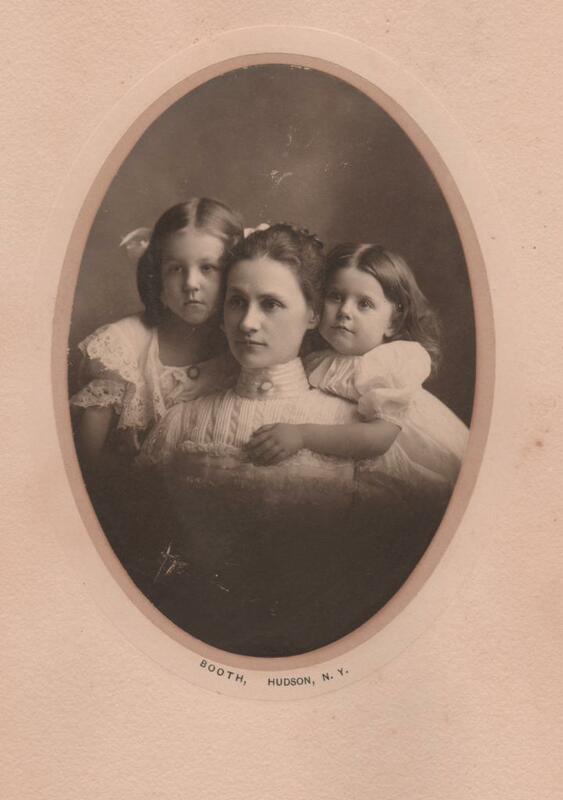 Have been researching to find a more accurate date for this photo of Leonora Holsapple with her mother and sister. So far, believe this to have been taken about 1899, shortly before Grace Holsapple passed away from, what was later to be named, diabetes. Taken in Hudson, New York. 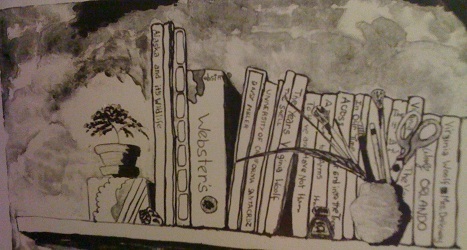 Leonora is on the left, and Alethe on the right side of photo. 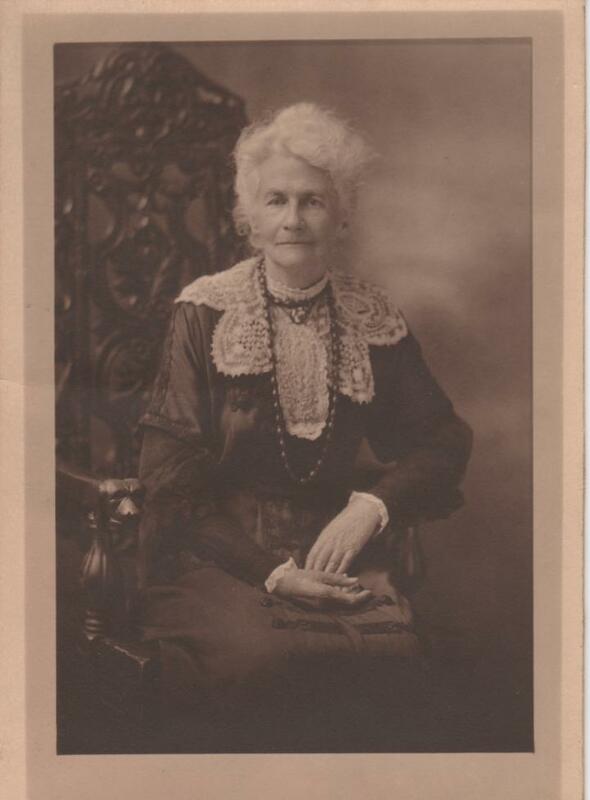 The first Bahá’í in our family was my great, great grandmother Leonora Georgiana Stirling. 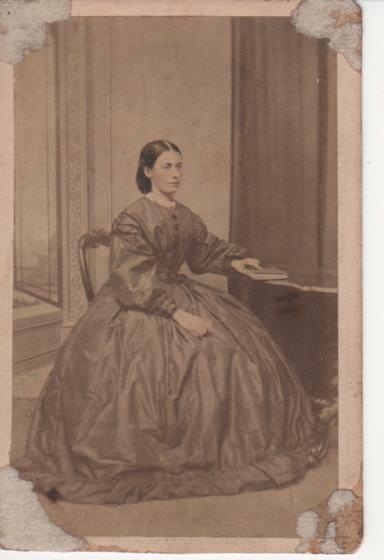 She was born and raised in London and went as a missionary to County Cork Ireland. From here she emigrated in 1868 to Canada and then the United States. This photograph was taken in Dublin sometime between 1850 and 1860. She did not find the Bahá’í Revelation for another approximately 40 years. 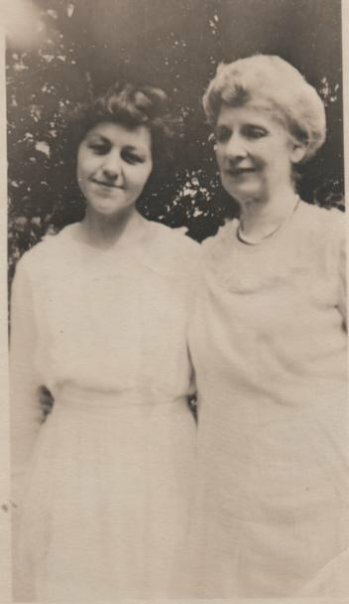 This second photo is of my Great Grandmother Stirling at about the time she found the Baha’i Revelation through a friend in Brooklyn, New York. It was 1906 and she deepened through correspondence with Isabella Brittingham. She met ‘Abdu’l-Bahá when he visited America in 1912, both in Boston and New York, in which during one visit He gave her a white rose. 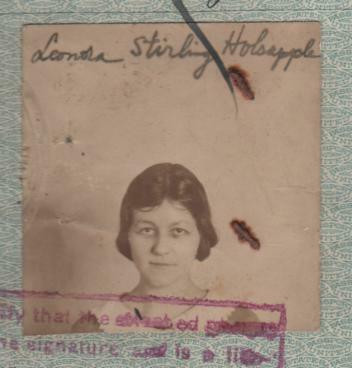 In 1930 Leonora Stirling Holsapple (later to become Armstrong) boarded a ship in Rio de Janeiro for Spain. She stayed in Madrid studying Spanish in order to improve her ability to translate the Baha’i Writings into Spanish as requested by Shoghi Effendi, the Guardian of the Baha’i Faith. Much to her distress she fell seriously ill and was beside herself being unable to achieve her goals in the time set aside. Meanwhile, she wrote to the Guardian in Haifa expressing her disappointment in the precious opportunity lost due to her illness, and he responded with an invitation to her to make a pilgrimage to the Holy Land. So from Barcelona she took a ship to Haifa. 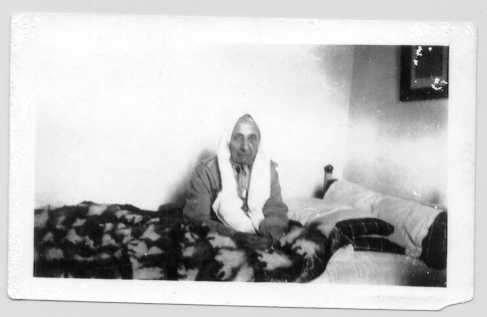 Below is a photo that she took of The Greatest Holy Leaf – Bahíyyih Khánum – daughter of Bahá’u’lláh and great aunt of Shoghi Effendi. No one believed she could do it. No one thought she should. Everyone said she was crazy. Her friends said it was too far away – to go half way round the world – and unsafe. Her father said he wouldn’t allow it! But she went and bought the one way ticket for the ships travel to Brazil anyway! This was not a girls’ whim, or a dare for high adventure. This was a yearning of the soul – a yearning to follow the desires for her of the Master to become a spiritual physician, to minister to people’s hearts. She had been ministering to young minds, drilling them in Latin. But what she really yearned for was to fulfill ‘Abdu’l-Bahá’s admonition in His Tablet to her to become a spiritual physician healing mankind with the Word of God. You see I am in Santos after all, and I am so happy – just as you said I would be. At least I am happy to be with Guido Gnocchi and his family, and I shall be more happy when I can feel that I am really helping him in the work for the Cause. There seems to be very little that I can do until I know Portuguese pretty well – Guido assures me that then I can do much – but meanwhile, therefore, I am putting all of my time on the Portuguese, and of course I am getting practice continually, as neither Snr. nor Snra, G. knows any English. They are helping me a great deal, and I am also teaching them English now in the class which I have begun and am to have 3 evenings a week. I have translated one of ‘Abdu’l-Baha’s talks, and Snr. G. has corrected it, and I hope to do much in this way, for I think the translation of the Teachings is one of the most important and urgent needs.